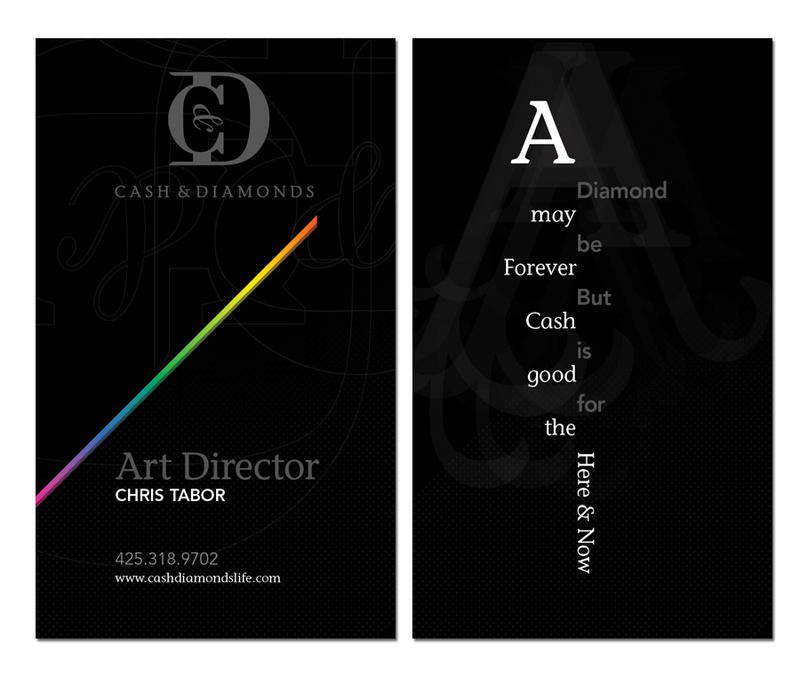 Cash & Diamonds is a project between my colleague Jacob Stone (www.punch-drunk.com) and I. It is a website for fashion, with a twist. While we worked out the tangible aspect of the company, we experimented with numerous style ideas revolving around high-fashion and allure. We explicitly made the personality of the brand mysterious and secretive, keeping as little visible as possible. There was really no reason to stray from the monogram idea, as it usually evokes high-fashion and is instantly recognizable. I went through many variations on the C&D monogram. The final logo and it’s horizontal variation. Business cards with a storytelling theme. 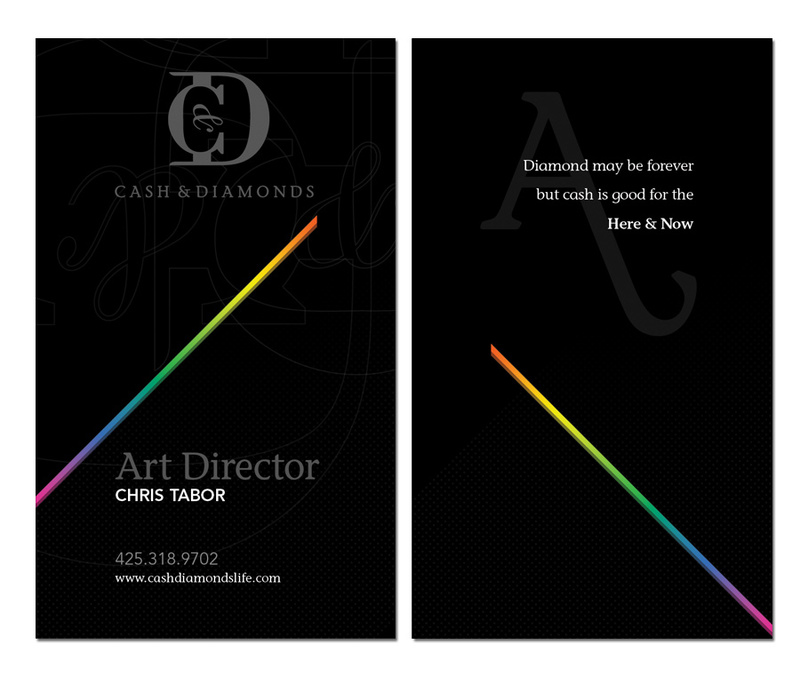 Another variation on the business card idea.